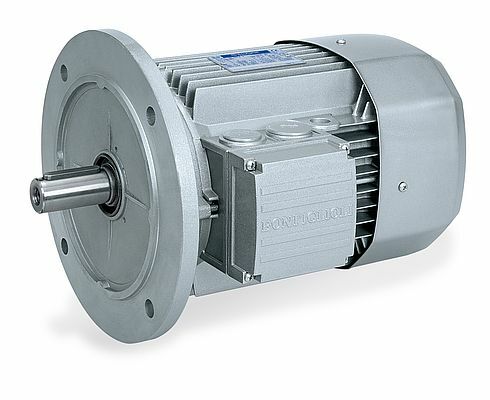 At the last edition of SPS IPC Drives, Bonfiglioli launched a new series of electric motors: The BSR series. The new line is a Synchronous Reluctance Motor Technology that reaches IE4 (Super Premium) efficiency class. Comparing it to the standard induction motor, the new reluctance motor combines the three-phase induction motor stator with an innovative rotor. The BSR series works with traditional inverters ACU 410 series but with a dedicated Software. This new motor series is available in six frame sizes from IEC71 to IEC132. The reluctance motor can be combined with Bonfiglioli standard gearbox. The new motor is designed and assembled in the Mechatronics Center of Rovereto, and the old and new technologies are combined to create the reluctance series. For the optimized control of the motor, a new dedicated internal software was created. The new line has been launched with two different packages: 1) IE4 High Efficiency Package which is covering a power range from 0.37 up to 18.5 kW from size IEC71 to IEC132. 2) High Output Package, which provides the customer not interested in energy efficiency with more performance, in two ways: Same size and power range up to 18.5 kW, or a smaller frame size but same output power and efficiency of the Induction motor, which is a more compact system. In this way, Bonfiglioli is able to target new applications and market sectors, such as material handling for the IE4 High Efficiency Package, and for High Output Package more complicated applications needing torque and speed control. The Induction Motors won’t be replaced, as the company’s objective is not to replace existing product lines, but to figure out new opportunities and new applications on the market. It’s important to point out that the software developed for the BSR series is very performant, allowing as many complicated applications as possible. This will allow a new market positioning, since reluctance motors currently available on the market are meant for entry level applications like pumps and fans. Bonfiglioli aims to find new application opportunities, in sectors like Packaging, Material Handling and Textile. Its main goal is therefore to fully boost its market. The complexity of the rotor inside the BSR motor, which is designed with a special shape that presents hyperbolic curves, required high engineering efforts to find the best matching between performance and industrialization. The dedicated ACU SW for BSR series includes a new field-oriented control method optimized for various type of applications. For this reason, developing a specific software was essential for vector control, with the addition of new functionalities in order to be very accurate and to allow high torque generation also at low speed. With additional control software developments, even additional application will be targeted. Production expectations for next year will be around one thousand units but the aim is to increase the request more and more thanks to the growing customer understanding of the motor and control benefits. This technology is not only a mechatronic product release but can also improve the system design. Industrial applications can now include standard gearboxes, frequency inverters, and synchronous motors which are in between induction and servo motors. Bonfiglioli is very proud of this new motor technology that can represent a strong technology for the future. Bonfiglioli also looks at IoT and cloud platforms for predictive maintenance. The company had already the ability to sensorize some elements of the motion chain, like gearboxes, inverters, motors. Sensors allow to gather data and through open communication protocols like Ethernet TCP/IP, OPC UA it is possible to send information to local and cloud platforms. Today Bonfiglioli is not providing cloud platforms, focusing on the data and on the associated information content. This is the first step to push concepts such as Energy Efficiency, Smart Factory, industry 4.0, IoT for predictive maintenance and many other essential and useful operations.